My first masked boobies. We were far away on a boat headed for the Dry Tortugas. They nest on this small sand bar out in the middle of nowhere. The sandbar is protected so we could not get to close. Lucky I had my 200mm lens with me and ready to shoot as we went by. These are extremely cropped. 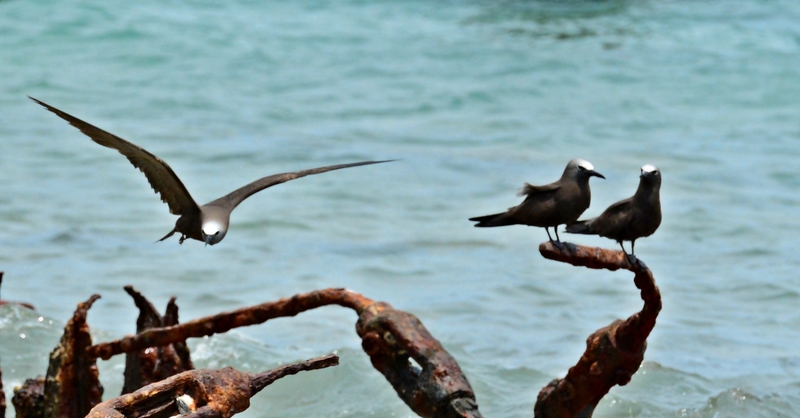 Another first sighting was the sooty terns. 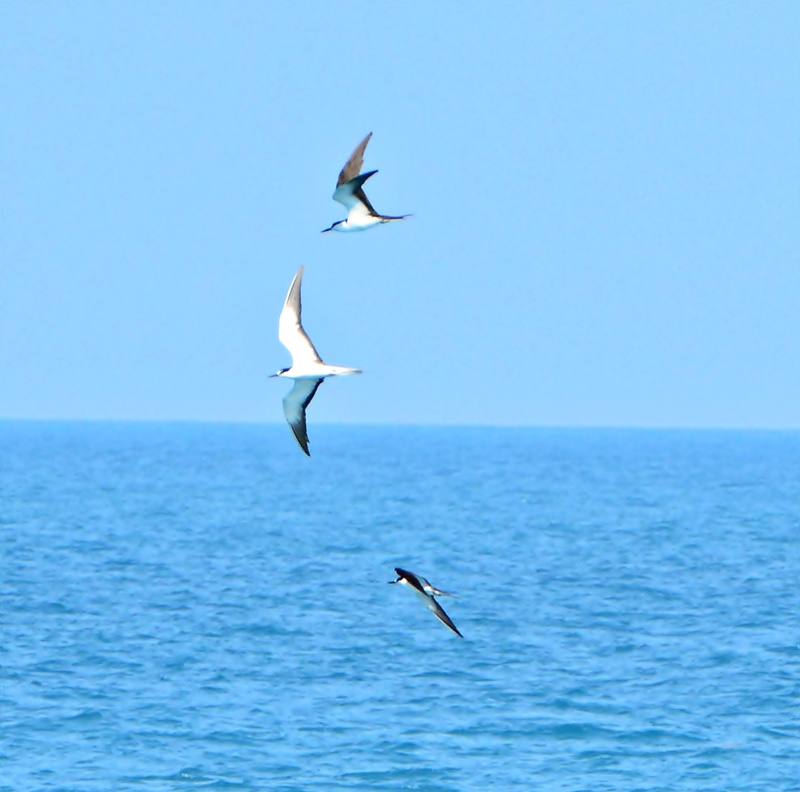 These birds were flying in between a sandbar and the Dry Tortugas. Several flew close to the boat. Not a first but still cool to see. 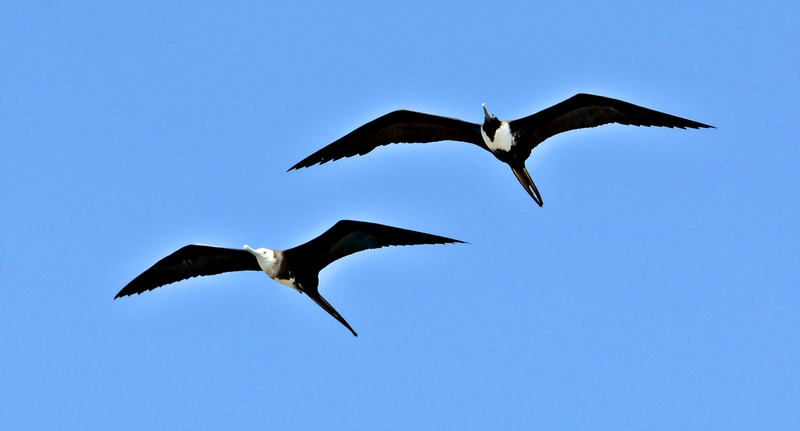 Frigatebirds were circling overhead as we docked at the Tortugas. 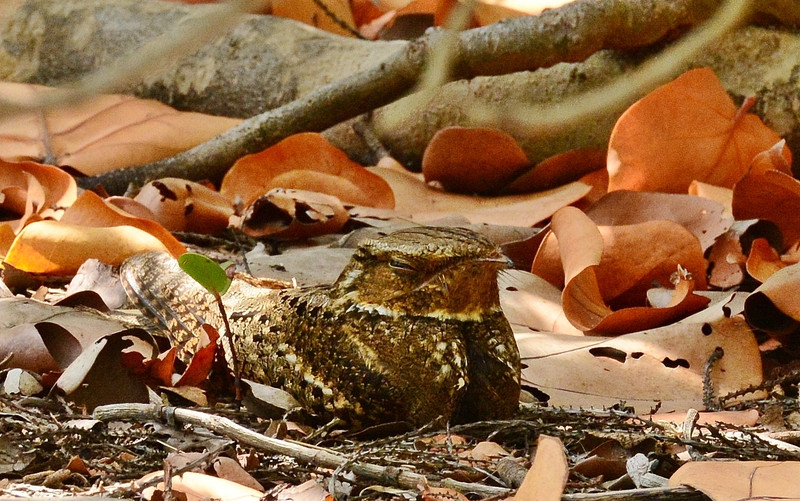 A juvenile on the left and a female on the right. Then the entire family with dad on the left with the red chest flew by. Thousands of birds were on one end of the island. That section was closed off since many of the birds were nesting. 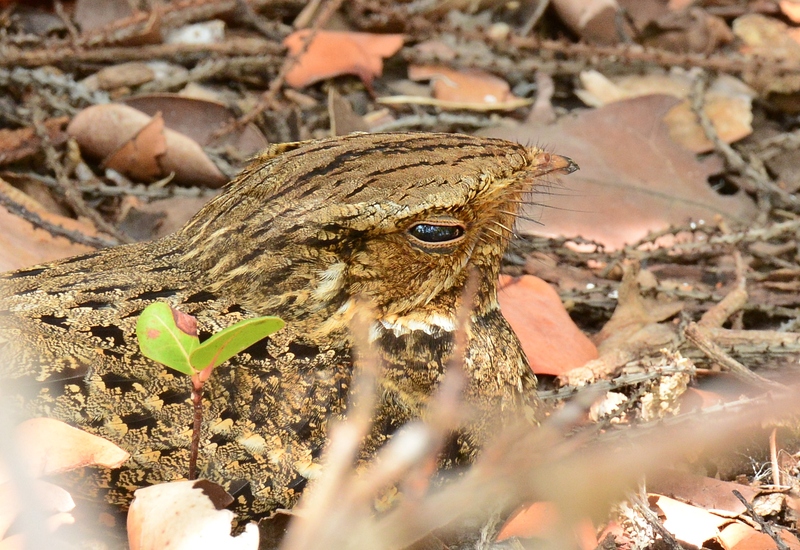 Another first, a chuck-will’s-widow on the ground. I have to give credit to several other birders who had found him right before I walked up. They were looking for the Kentucky warbler and found him instead. He was hiding under some bushes. I could just make out his face through the branches. I did find the Kentucky warbler, another first for me. 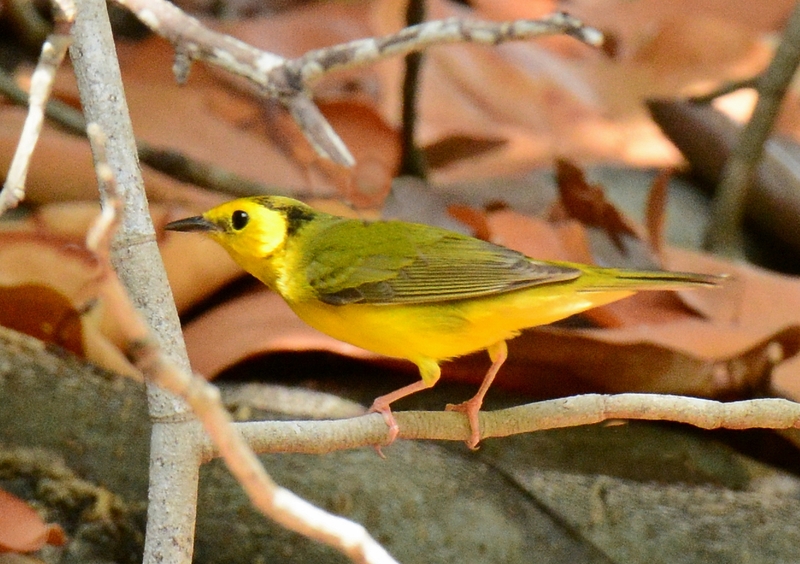 They told me to look for a bird that looks like a hooded warbler but doesn’t have as much black on the head. 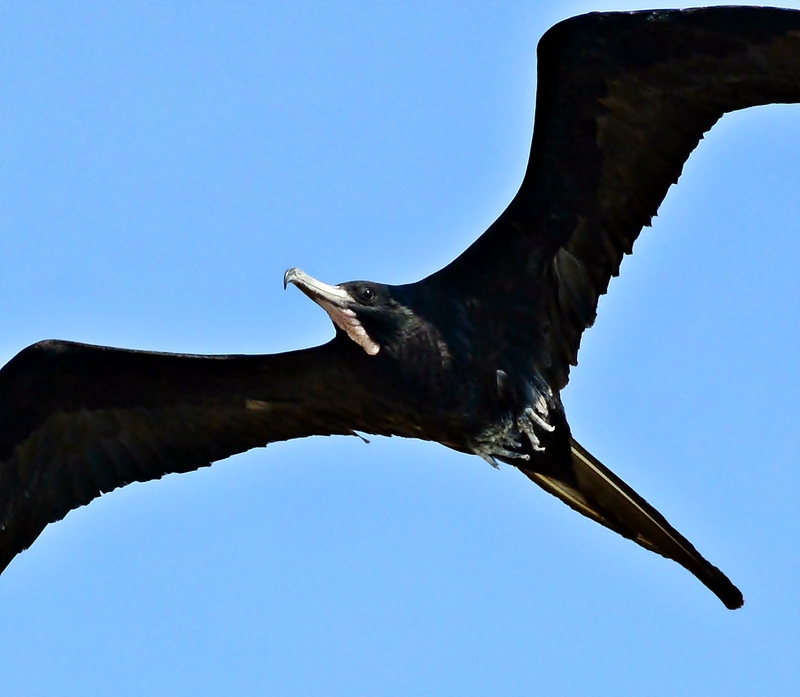 Heading back onto the boat for lunch, the frigatebirds were still cruising close to the boat. 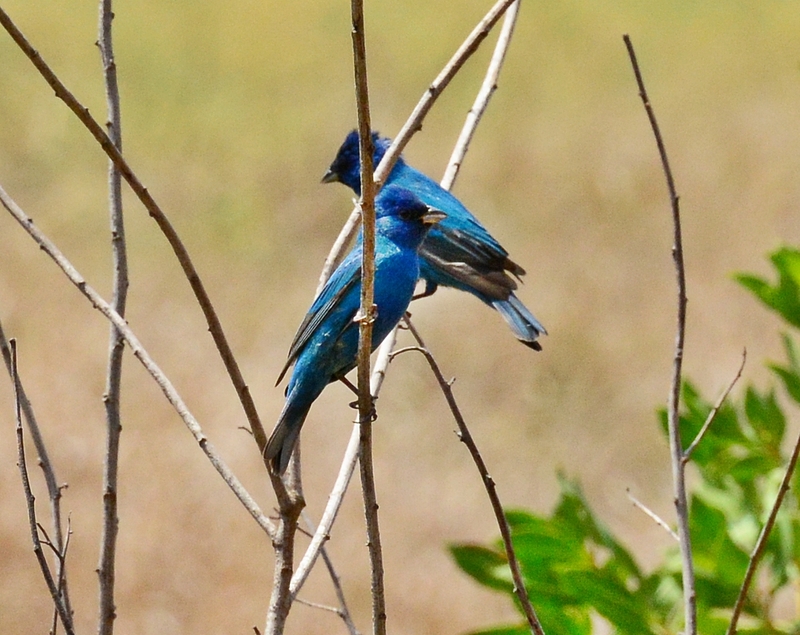 Several blue grosbeaks were flying around inside the fort but they were very skittish. 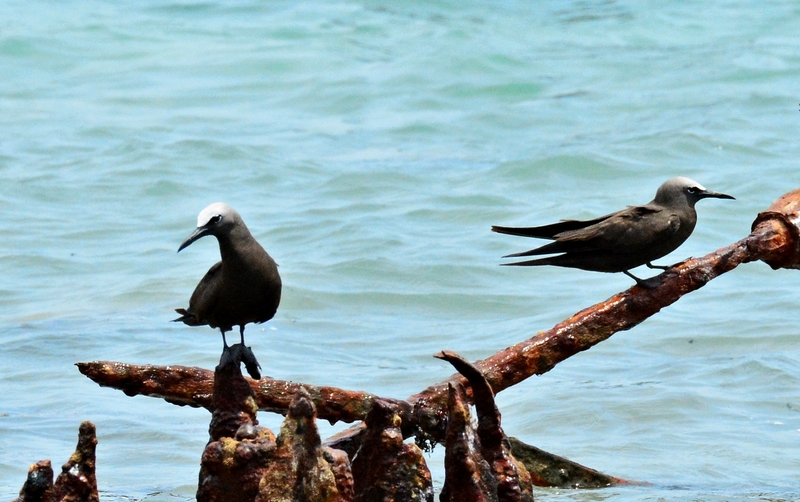 My 5th new bird of the day was the brown noddies. There were a lot of these flying in between the closed off end of the island and old pilings next to the fort. They are part of the tern family. 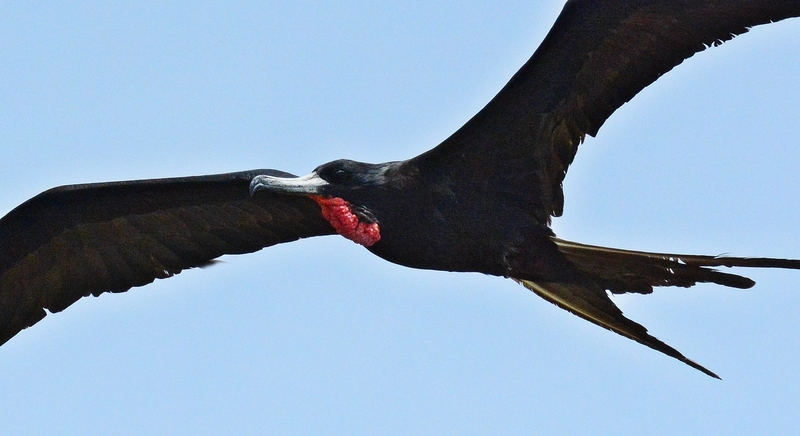 A male frigatebird flies close by as the boat was leaving the island. I’m going to bore you with my tons of vacation pictures. Brett and I recently spent a week in Key West. It was our first time on the island. We had a great time and I lugged my camera stuff everywhere. 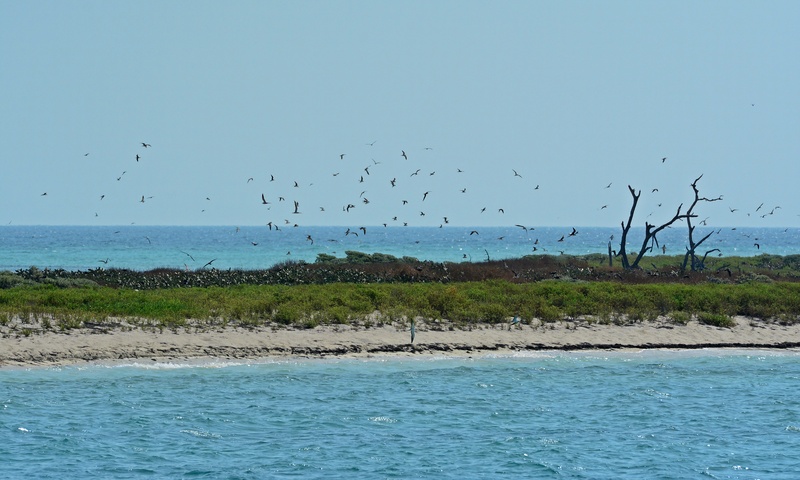 We took the all day boat trip out to the Dry Tortugas on the first day of our trip. It was a 2 and a half hour boat ride each way. The boat felt a little crowded with close to 200 people on it. Once we got to the island and everyone was spread out on that big island, it felt like we almost had the place to ourselves. Lots more pictures to come.